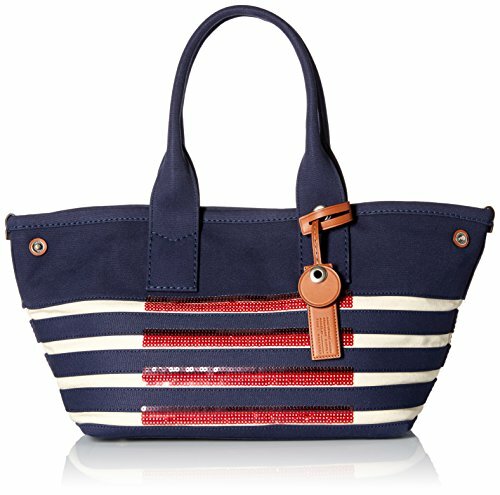 The st tropez tote is a lightweight cotton canvas tote with detachable logo tag featuring blind embossed logo. The inside of the tote features in interior zip pocket for easy and secure storage. Features sequin detail on front of tote.